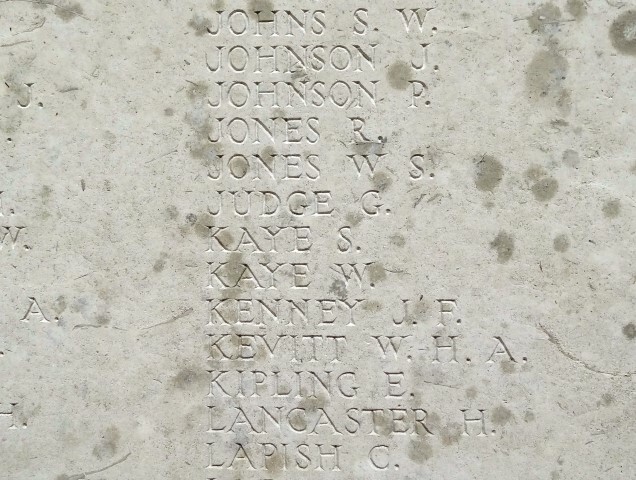 34618 Private George Judge, 6th Battalion, King’s Own Yorkshire Light Infantry was killed in action 18 December 1917 and is commemorated on the Tyne Cot Memorial, Belgium  and St. Helen’s Colliery Memorial Cottages. He was 23 years old, the son of George and Elizabeth Judge. 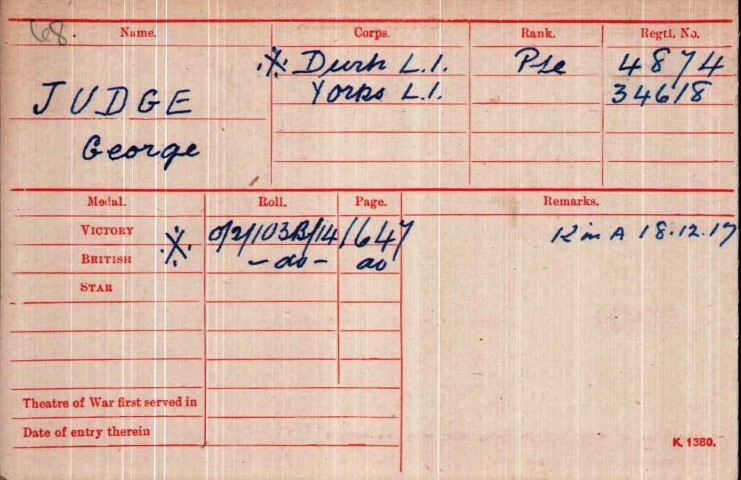 The service record of Private George Judge has not been traced and the war diary of the 6th Battalion King’s Own Yorkshire Light Infantry (6/KOYLI) has not been researched. George Judge enlisted into the Durham Light Infantry being given the regimental number 4874 and was transferred to the King’s Own Yorkshire Light Infantry, regimental no.34618, at a later date. The 14th Division served on the Western Front throughout the war. The last major offensive of 1917 was the Second Battle of Passchendaele 26 October – 10 November as part of the Third Battle of Ypres. There was no major offensive being carried out in December 1917. On 18 December 1917, 6/KOYLI suffered 2 losses in the ranks, Private G. Judge and 36309 Private Irvine Walters from Barnsley, both of whom have no known grave. Without any firm details from the war diary it is assumed that both men were casualties of the usual violence of warfare – sniping or shelling and their bodies were not recovered or their graves were lost on the battlefield.